In this lesson, you learn how to load textures into your DirectX 12 powered applications. You learn how to use the compute pipeline to generate mipmaps for textures. You also learn about texture samplers and how to specify a texture sampler in the root signature. A texture sampler is used to control how the texels are read in a shader. In this tutorial, you will be introduced to several classes that will help you to create a robust and flexible framework for building DirectX 12 applications. Some of the problems that are solved with the classes introduced in this lesson are managing CPU descriptors, copying CPU descriptors to GPU visible descriptor heaps, managing resource state across multiple threads, and uploading dynamic buffer data to the GPU. To automatically manage the state and descriptors for resources, a custom command list class is also provided. 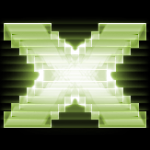 This is the second lesson in a series of lessons to teach you how to create a DirectX 12 powered application from scratch. In this lesson, vertex and index data is uploaded to the Graphics Processing Unit (GPU) for rendering. Basic vertex and pixel shaders are described and how to create a Pipeline State Object (PSO) that utilizes those shaders is also described. A root signature defines the parameters that are used by the stages of the rendering pipeline. In this lesson a simple root signature is created that defines a single constant buffer that contains the Model-View-Projection (MVP) matrix that is used to rotate a model in the scene. This is the first lesson in a series of lessons to teach you how to create a DirectX 12 application from scratch. In this lesson, you will learn how to query for DirectX 12 capable display adapters that are available, create a DirectX 12 device, create a swap-chain, and you will also learn how to present the swap chain back buffer to the screen. In this lesson, you will also create a command queue and a command list and learn how to synchronize the CPU and GPU operations in order to correctly implement N-buffered rendering. 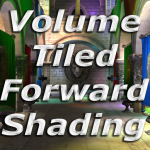 In this post, Volume Tiled Forward Shading rendering is described. Volume Tiled Forward Shading is based on Tiled and Clustered Forward Shading described by Ola Olsson et. al. . 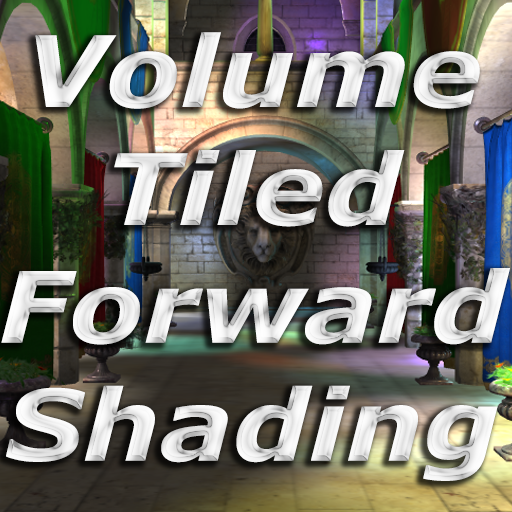 Similar to Clustered Shading, Volume Tiled Forward Shading builds a 3D grid of volume tiles (clusters) and assigns the lights in the scene to the volumes tiles. Only the lights that are intersecting with the volume tile for the current pixel need to be considered during shading. 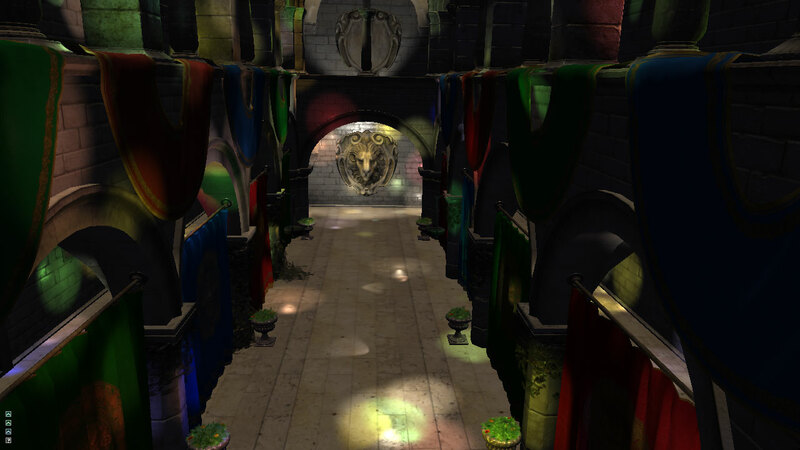 By sorting the lights into volume tiles, the performance of the shading stage can be greatly improved. By building a Bounding Volume Hierarchy (BVH) over the lights in the scene, the performance of the light assignment to tiles phase can also be improved. 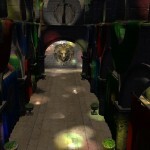 The Volume Tiled Forward Shading technique combined with the BVH optimization allows for millions of light sources to be active in the scene. In this article, I will introduce the reader to DirectX 11. We will create a simple demo application that can be used to create more complex DirectX examples and demos. After reading this article, you should be able to create a DirectX application and render geometry using a simple vertex shader and pixel shader. In this article I will introduce the reader to the OpenGL rendering API (application programming interface). 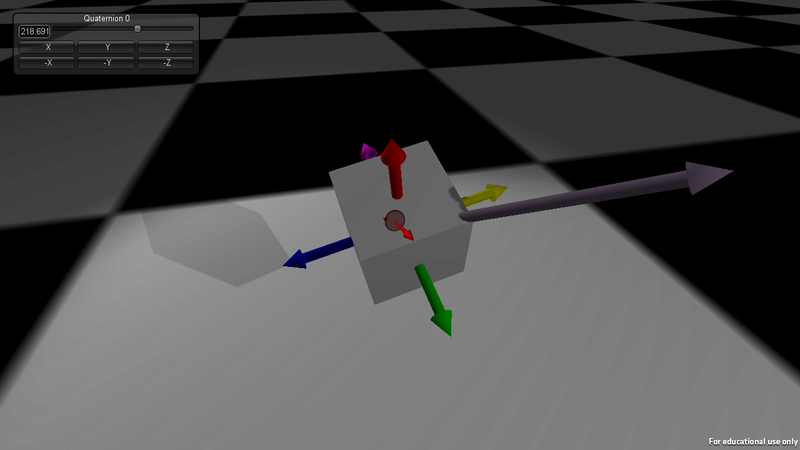 I will also introduce GLSL (OpenGL Shading Language). We will create a simple vertex shader and fragment shader that can be used to render very basic 3D primitives. By the end of this article you will know how to create a simple OpenGL application and render 3D objects using shaders. In this article, I will introduce you to the Unity game editor. Unity is a tool for creating and deploying games to PC, consoles, web and mobile devices. In this post, I will go through the steps to get Unity installed on your computer and I will introduce you to the basic features of Unity. Unity makes it easy for anyone to get started making games. You will not need any previous game development experience to follow these articles but by the end, you will be prepared to start making your own games like a professional! In this article I will attempt to explain the concept of Quaternions in an easy to understand way. 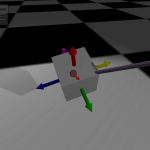 I will explain how you might visualize a Quaternion as well as explain the different operations that can be applied to quaternions. I will also compare applications of matrices, euler angles, and quaternions and try to explain when you would want to use quaternions instead of Euler angles or matrices and when you would not.